I have sought to imbue the saws I make with the spirit of the Bad Axe river region, and create a tool made of the finest materials available: a saw of enduring strength and beauty with which you may ply your craft. Strength. Craft. Endurance. These values define the inhabitants of the Bad Axe River Valley region of Southwestern Wisconsin, a primeval environment of enduring beauty, unscathed by the last ice age. 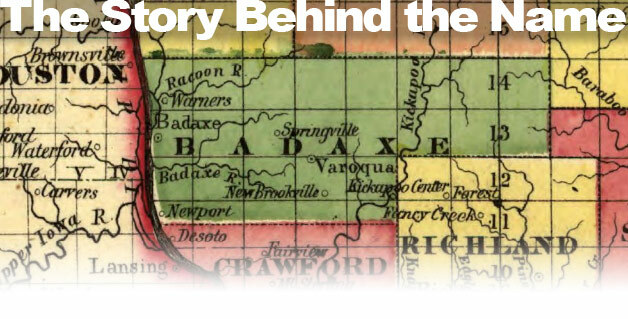 The Fox/Sauk American Indians, led by the indominatible War Chief Blackhawk, fought for this land against insurmountable odds during Andrew Jackson's Blackhawk War of 1832. Blackhawk's uncompromising standards of conduct, resilience, and leadership imparted an unyielding legacy to the land and the Amish and Scandinavian pioneers who settled it to farm the lush, rolling hills and hunt the coulees, and where their descendants today maintain a rich tradition of the woodworking and timber-framing crafts. I have sought to imbue the saws I make with the spirit of the Bad Axe river region, and create a tool made of the finest materials available--a saw of enduring strength and beauty with which you may ply your craft. I trust the Bad Axe saw you purchase serves you well, and that it inherits the next generation who marvel at the legacy of your creations.
. . . from the Bad Axe River coulees of Southwest Wisconsin.